Just over one year old one bedroom apartment is located directly opposite the buzzing Gasworks precinct. Also this apartment is certainly an excellent opportunity for the buyers in search of a safe investment or convenient residence located in Newstead Towers opposite Gasworks. Great investment for the future. 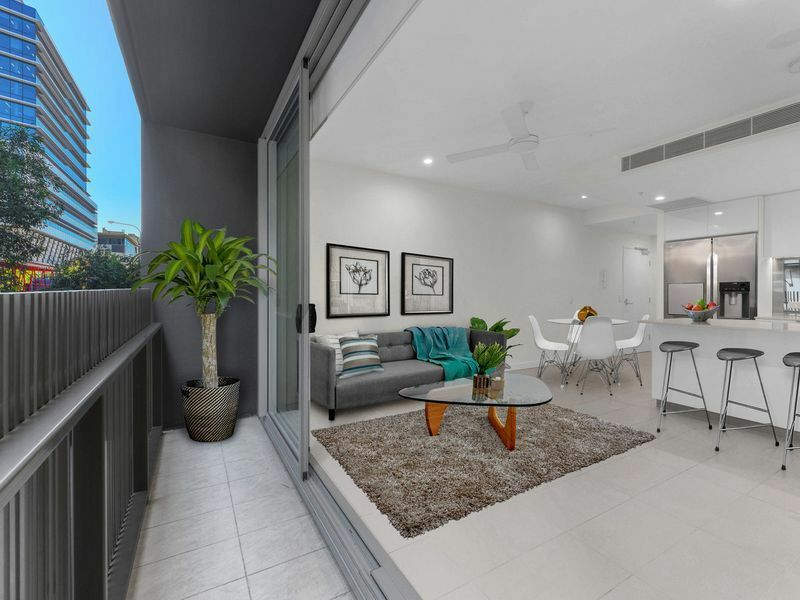 Superbly positioned just minutes away from some of Newstead best cafes, restaurants and bars, you are also only a short stroll from City-Cat, City-Glider and public transport options. Additionally, the likes of Gasworks, James Street and The City are all within walking distance. Don’t compromise on position, lifestyle or potential! Call today to discover more on this fantastic opportunity. For all inspection please go to 88 Doggett St Newstead to meet.